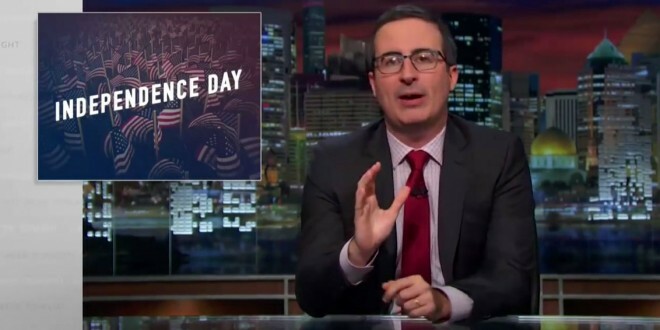 John Oliver On Independence Day [VIDEO] - Joe.My.God. As Americans celebrate our Independence Day, comedian John Oliver wonders if declaring independence from Great Britain was all that good of an idea after all. “First, there is the matter of your accents. These beautiful vowel sounds could have been yours. But instead from sea to shining sea, you speak like you just burnt your tongue on a hot apple pie,” Oliver began.